Battles of any size enable us to see the mighty arm of God and the power of His love for us. This, my friends, is treasure for the taking. I for one want to see any battle from the vantage point of a Mighty God arming me with His all-powerful love. I want to know, I don’t fight alone. I want to be a witness to His strength and experience what it is like to dwell in the shadow of His wing. I want to know Him better be I fighting or simply standing. Much to my delight, I was able to wrap my arms around Bo this past weekend. I mentioned to her how nice to see her in person, 3-D if you will. We spend so much time looking at photos on screens. We aren’t like Flat Stanley. We are living breathing masterpieces. Not having seen Bo in a while, just on the screen, I was struck by how small she is. In her speaking and her writing, there is immense strength and power. Dear ones, when the Spirit of God resides squarely in your days, you become like Him. You are infused with strength when you feel fragile. You are adorned with power when you are prone to faint. God’s ways forge with your ways. His character reigns all over your life. I think you will see this in the pages of this book. I wrote about Beautiful Battlefield here. I love how Bo shares her own struggles and how God met each area. I also really appreciate that she shares strategies to aid in fighting battles. who could use some tangible encouragement. Bo has graciously given me an autographed copy of Beautiful Battlefields to giveaway! I walked from my car this morning and as if overnight, my stark front yard was dotted with colors. I think hardship can be like what I saw this morning. Days blur into weeks and months of a landscape covered by shades of grey. Then one day and it might only last a day, life looks different. by the shade of your Maker. He opens His palms to enlarge your vision. There is glorious color to behold. Are there signs of spring where you live? Spring is popping out all over here in Portland. Our yard is full of camelias and it makes me so happy! Leave me a comment and I will randomly pick a winner on Sunday evening! Thank you so much Bo! Check out Bo’s blog here and Facebook page here. Spring saunters in here and briefly announces its presence, before it retreats for a few more weeks. Today was a “save the date” announcement from spring, so I’m doing just that! I’ve never read of Bo Stern’s writing – would love to get a chance! 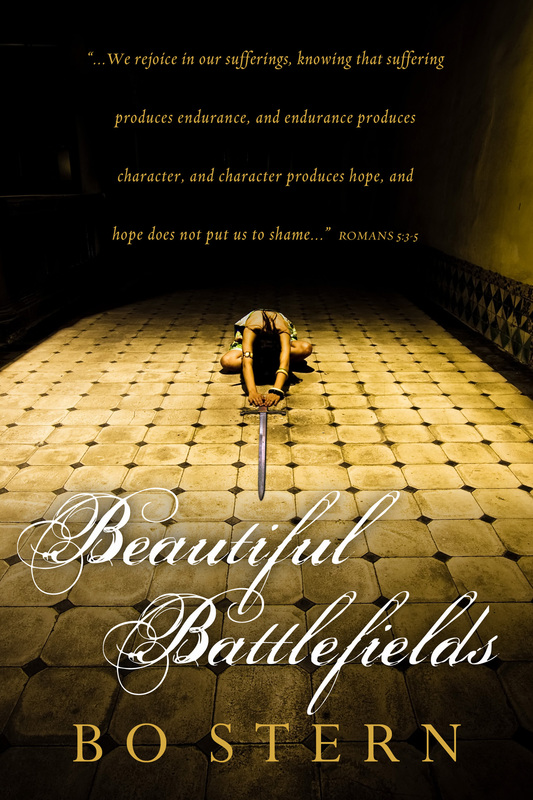 The title of the book on its own is powerful as “beautiful” and “battlefields” are so incongruous. I’m interested to see what’s inside. As for spring…today I enjoyed walking among the beauty of forested Mt. Tabor. Such gorgeous weather! Helen, I also have the book,autographed by Bo even! I have given this book away to a couple of my sisters who also are in the battlefield and everyone has the same response…so good and so encouraging. Spring has not so much as sprung yet in Central Oregon but oh the glorious sunny days, these I love! Helen, I have the book and so I don’t need to be entered into the drawing. I just wanted to tell you how much I enjoy your blog and how dearly you are loved!